Do ‘green’ correctly, and you’ll stand out from the competition. The best part? You save money. With climate change in the news more than ever, an increasing number of people are taking a real interest in how they can reduce their own carbon footprints. The desire of consumers and investors to choose green businesses is only rising. The small things may not seem like they are worth it alone. However, those small things can combine to have significant sustainability effects. Not only that, the small changes can even build the momentum for bigger ones. By getting started with a few easy steps, you will have success that may justify larger projects. 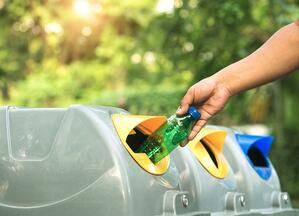 Start recycling: Get your staff to commit to sorting their waste. If you have a publicly-accessible area of your business, a recycling station is a great (and visible) way to show that you’re making a difference — while inviting your customers to make that difference with you. Serve lower impact food: If you regularly provide food, making a quick decision to tend toward better, more sustainable options is an easy way to make an effective change without negatively impacting your staff and customers. Even with larger events you can reduce your environmental impact in this way. Coffee and water: Some coffee machines can be quite wasteful — and while you can recycle plastic water bottles, it is better to not use them at all. Replacing these more wasteful practices with sustainable options is inexpensive and has an ongoing day-to-day effect. Try using compostable K-Cups or ordering reusable water bottles for your staff. Use less paper: We’ve all seen that email sign off asking us to think twice about printing it. But…do you really need to print it? Do you really need to print a hundred-page document? Yes, paper can be recyclable, but it’s better still to never use it at all. After all, the hierarchy is reduce, reuse, then Try moving your workplace towards digital alternatives. Prioritize greener partners: When you have a choice, work with greener businesses. When you do so, you’re reducing your carbon footprint by seeking out lower-impact options. You can do this by reducing distribution through working local, or simply doing business with fellow green enthusiasts making the same choices you are. So, you’ve got the budget for something really impressive. You’re able to go deep on your energy usage and design and build a better solution. Here’s some common methods businesses use to significantly reduce their carbon footprints. Energy Assessments and Audits: Understanding what your current usage will help to develop an effective energy plan. An energy assessment or energy audit will involve a thorough evaluation of your buildings and processes, including walkthroughs and on-site personnel interviews. This will help you grasp everything from the big picture to the tiny details. Heat Recovery: So many buildings were never built with energy efficiency in mind — and as a result, leak heat in torrents. You’re still paying for this wasted heat. The good news is that there’s technology available to fix it: you can retrofit buildings to capture this heat. New buildings can be built with heat recovery in mind from the get-go. 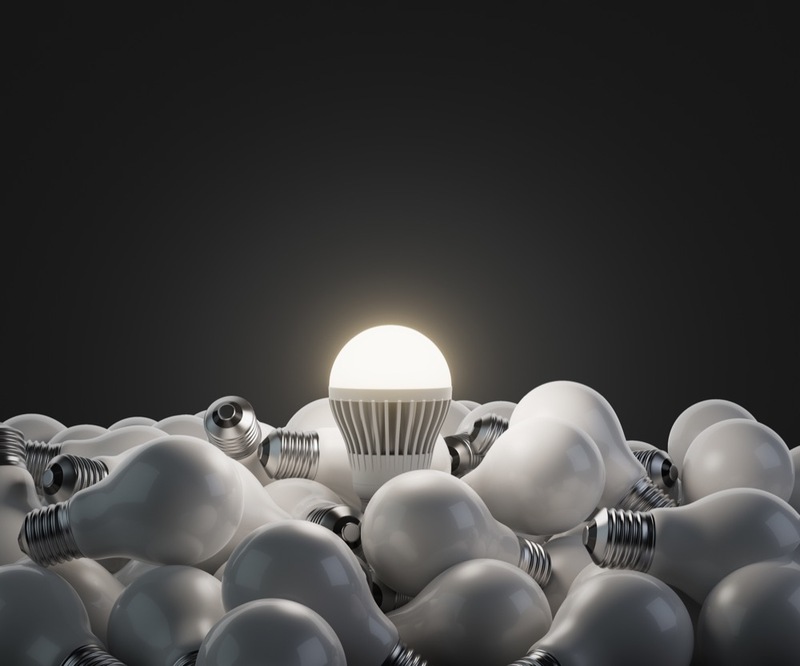 LED Lighting Retrofit: Replacing inefficient older lightbulbs with modern LEDs can make a fairly big difference. This can be a serious undertaking, so be sure to work with an experienced energy partner. Energy Monitoring: The ability to monitor your energy usage in real-time and afterwards allows you to pinpoint not only energy spikes, but also evaluate your average energy usage and identify areas for improvement. Solar Panel Installation: Offsetting your reliance on carbon-sourced energy from the grid by generating some of your own through onsite solar panels is a fantastic way to reduce your carbon footprint and will protect you from future increases in electricity prices. Combined with the above measures, you could cut the payback time on your solar investment by up to 50%. You know what you need to do, and you know what people expect. Now, how do you put it all together? How do you justify the cost? By going green, you’ll not only save money in the long run but also generate some positive word of mouth. The public pressure for greener business means that people are more likely to support those businesses. Even though effort is intangible, it is still real. It will make your customers feel good to know they’re making a more environmentally friendly choice. Nail down a few quick actions you can take right now and get started with an Energy Assessment. We can help you with that, as well as the implementation of heat recovery systems, energy monitoring, solar installation, and more. Throughout the entire process, share your journey. Post on social media, engage one-on-one with your customers, put it in your marketing materials, on your packaging. Put it anywhere you can that you’re committed to making a change. Maybe, just maybe, you’ll find that people will want to make a change with you.